July is National Cell Phone Courtesy Month. From texting and driving to putting our devices down on the table at a restaurant to speaking loudly and sharing personal details in front of others, this is the perfect time to reflect on our mobile phone habits. Hidden cell phone: Whether you are attending an important business meeting, on a date, or in a casual setting with friends and family, keep your phone out of sight. Placing your phone on the table or desk sends the clear message that the people you are with are not your number-one priority. Silent Smartphone: It’s polite and responsible to turn off your cell phone before meetings, meals, and meaningful moments – like dates! If you can’t turn your device off, turn it to silent or vibrate. Your phone is not a replacement for an in-person meeting. Exceptions: There are exceptions to every rule: A) Doctors, nurses, first responders, and health providers B) Those expecting emergency calls C) Those who have an infant with a babysitter, or a person with a caregiver D) Those momentarily sharing photos with others E) Those researching an important request, such as directions. Respond promptly: When you miss a call, text, or email, respond in an appropriate and timely manner by apologizing for missing their message. Then respond with substance. 10-foot rule: When making or taking a call, move 10 feet away from the building including windows. No one wants to see you nervously pacing or gesturing during your conversation. Step outside when responding to a call while in a house of worship, medical office, library, theatre, or hospital. Refrain from confidential conversations on planes, trains, and automobiles. Don’t Talk & Drive: Many cities now ban smartphone use while driving. 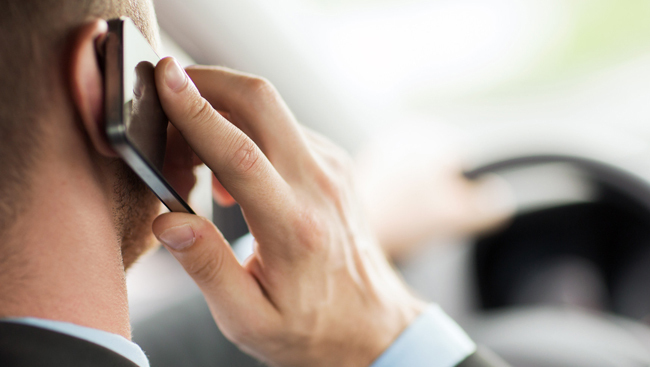 If you must use the phone, drive to a safe area away from traffic. New vehicle technology comes with integrated hands-off, Bluetooth options. If your vehicle has this technology, be attentive to the road and use caution. Safety first! The Cellular Crutch: Your phone isn’t a gadget to turn-to when you are not sure what to do in uncomfortable situations. If you walk into a new office, or a wedding reception and don’t know anyone, take time to engage face-to-face. Deferring back to your phone as a crutch will keep you from truly connecting with new people. Practice improving your face-to-face interactions by turning your cell phone off, or leaving it hidden in the car. Focus Attention Towards Other Hobbies: We tend to use our phones everywhere- at parties, at work, before we go to sleep. This dramatically impacts how much, or how little, we accomplish daily. Make a conscious effort to focus on projects, without the distraction of constantly checking your phone for email, texts, or surfing the web. People often forget that a simple status update about their trip can act as a feeding frenzy for thieves. While we’re just a quarter of the way into 2017, the tech landscape continues to evolve at breakneck speed and has already revealed a slew of new cutting-edge consumer electronics. These incredibly powerful handheld devices have forever changed how we go about our daily lives, and that includes helping us get around easier, and in a more enjoyable manner, than ever before. Innovation, start-ups and social investment are abuzz. Consumer awareness on issues pertaining to environmental risks and human rights has triggered an active and unavoidable corporate social responsibility debate that urges combat of risks and hazards.